^ Soubeyrand, Catherine. The Royal Game of Ur. The Game Cabinet. 2000 [2008-10-05]. ^ Green, William. Big Game Hunter. 2008 Summer Journey (Time). 2008-06-19 [2008-10-05]. ^ History of Games. 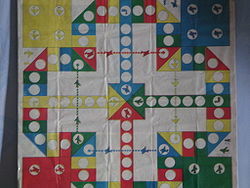 MacGregor Historic Games. 2006 [2008-10-05]. ^ Wittgenstein, Ludwig. Philosophical Investigations. Oxford: Blackwell. 1953. ISBN 0-631-23127-7. ^ Was Wittgenstein Wrong About Games?. Nigel Warburton. 2007 [2013-06-28]. ^ Caillois, Roger. Les jeux et les hommes. Gallimard. 1957. ^ 8.0 8.1 Crawford, Chris. Chris Crawford on Game Design. New Riders. 2003. ISBN 0-88134-117-7. ^ Suits, Bernard. What Is a Game?. The University of Chicago Press. 1967 [2013-06-27].